To develop training, CPSI uses the ADDIE model, a five-phase instructional design model that includes Analysis, Design, Development, Implementation, and Evaluation. 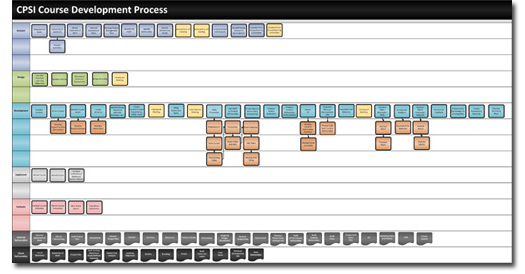 Select the image below to view the CPSI Course Development Process. For a complete listing of CPSI courses, please visit the CPSI Web site or one of our division Web sites by selecting a link to the right.